1. Introduction 2. Rotten with perfection: Kim Edwards, The Secrets of a Fire King. 3.Fiction and the Unabomber: Susan Choi, A Person of Interest. 4.Blowback: André Dubus III, House of Sand and Fog. 5. Falling Woman: André Dubus III, The Garden of Last Days 6. Pictures from a Revolution: Dalia Sofer, The Septembers of Shiraz 7.Updike’s Many Worlds: Local and Global in Toward the End of Time. 8.The Black Atlantic as Dystopia: Bernardine Evaristo, Blonde Roots. 9.Disaster Utopias: Chitra Divakaruni, One Amazing Thing. 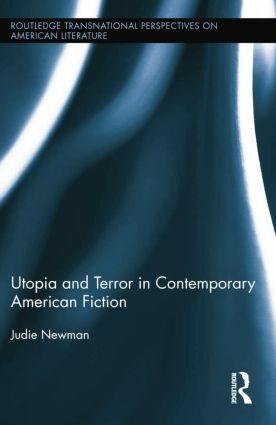 Judie Newman is Professor of American Studies at The University of Nottingham, UK.